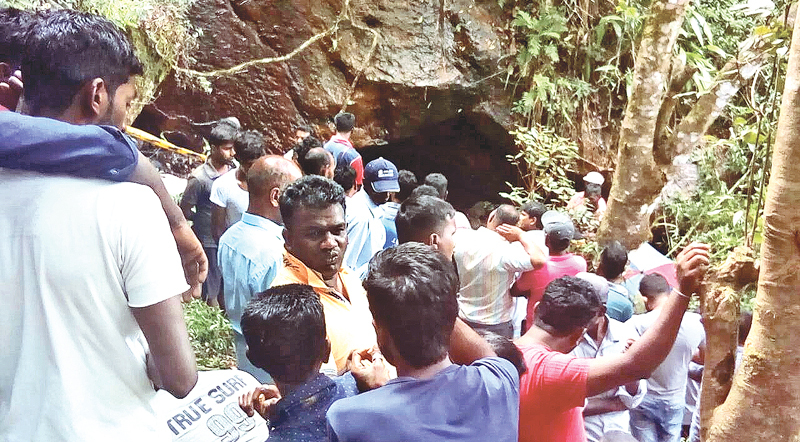 Ragala Police on a tip-off found bodies of two persons in a cave in the upper part of the St. Leonard forest area, yesterday morning. Investigations revealed that they had left their houses for hunting last Saturday. The carcass of a dog was also found in the cave, police said. The deceased are said to have fumigated the cave to hunt porcupines. According to police, they had died by inhaling the poisonous smoke. A Magisterial inquiry will be conducted into the remains by the Walapane Magistrate. Ragala Police are investigating.